Remember that dispute over the Redfall trademark, otherwise known as the potential title for Elder Scrolls 6? Well, all that could be in the past very soon, as it looks like ZeniMax is trying to come to an agreement with BookBreeze.com about its use of the Redfall trademark. The update comes straight from the United States Patent and Trademark Office, where the documents linked to the Redfall trademark application state that Zenimax has requested the dates to be pushed back a month, because the “parties are engaged in settlement discussions”. Just look below to see what I’m talking about. “Settlement discussions” is a fancy way to say ZeniMax and BookBreeze.com are trying to get all of this cleared up without having to go through the stress of a long trademark dispute. If that happened each side would have to argue their own case for retaining the trademark... which could mean (according to the dates in the original trademark application) we have to wait until 2021 for information about Elder Scrolls 6’s official title. Both parties agree to enter into a coexistence agreement which allows them both to use the Redfall name (this would almost definitely involve ZeniMax making a payment to Book Breeze). ZeniMax withdraws the application but enters into a license agreement (again involving them paying a fee) to Book Breeze. ZeniMax pays a one-off sum for Book Breeze to withdraw their opposition and essentially go away. Either way, you can bet that a ton of septims is going to be involved. Much more than you’ve got kicking around after spending hundreds of hours in Skyrim. 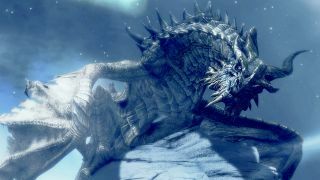 If these discussions are successful, there’s a good chance that we’ll soon know for sure whether Redfall is the official title for Elder Scrolls 6, and if that is the case, we might even be getting some news about the sequel to Skyrim in the not-so-distant-future. But we’ll have to wait and see whether anything comes of these settlement discussions. You might want to get some comfy clothes on though because it’s going to be a long wait. Sob.